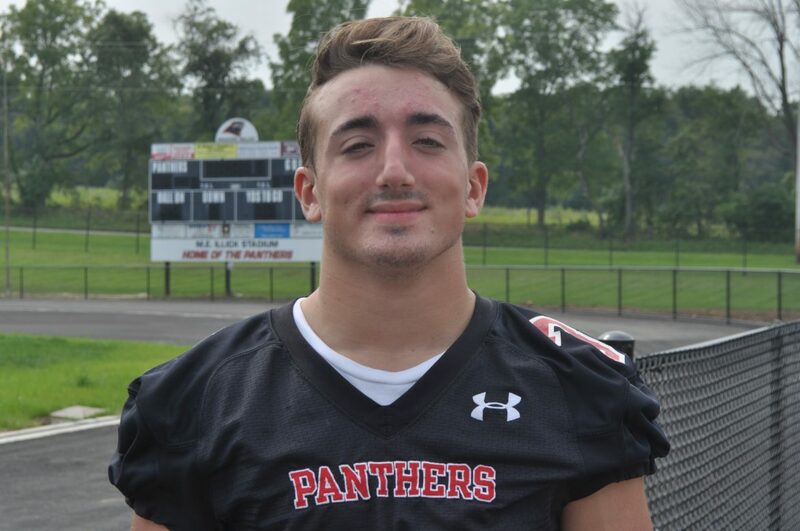 On the ninth day of highlighting Panther football record holders, Saucon Source wants to recognize senior, Curtis Clifford. Curtis wore #38 while playing for the Panthers. He is a dynamic player and listed at 5’8″, 172. Even though Curtis was hampered by the injury-bug for much of the 2018 season he has still managed to find himself throughout the Saucon Valley record books. Curtis is tied for 4th in Career Sacks (7). He is 15th in Career Tackle Assists (50). Curtis is also listed 13th in Career Solo Tackles (88) . Who’s #1 for Sacks in a Career? Before this season, Mike Kane (2012-2015) was credited as the Panther all-time leader with 12 Career Sacks. Who’s #1 for Tackle Assists in a Career? Christian Carvis (2012-2015) had 129 career assists. Who’s #1 for solo tackles in a career? Ian Gimbar (2007-2010) had a career 225 solo tackles. Congratulations Curtis, and best wishes in the future. The Source is with you!